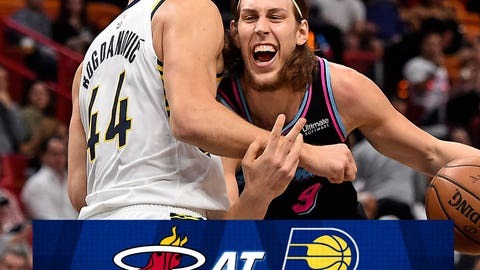 The visiting Pacers beat the Heat 110-102 a week ago, scoring the final 12 points. However, Dragic was out that game with a knee injury. Dragic struggled in his return, going scoreless in a loss to Washington on Saturday. He followed that up with 22 points in a loss to Philadelphia on Monday and 21 against Brooklyn.